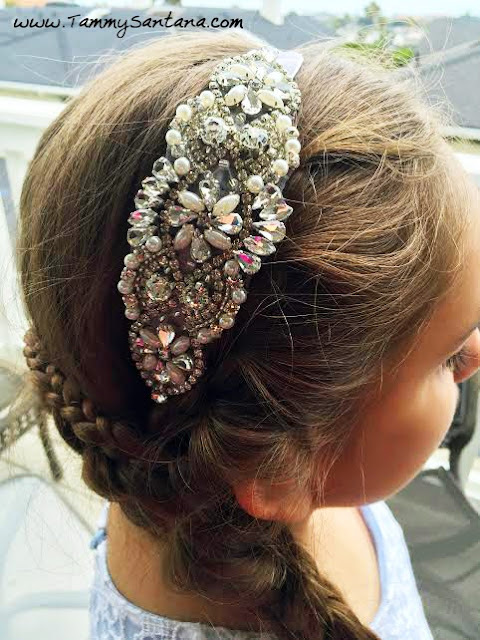 We will be going to a couple of weddings in the coming year and my daughter and I were playing with some ideas for hair accessories for her to wear to the weddings. 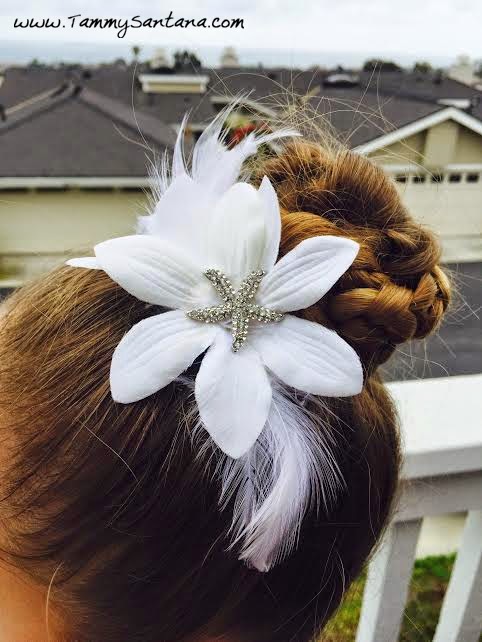 I came up with three ideas that were super easy to make, so I wanted to share a quick tutorial on how to make them :) These would work great for flower girls, brides or any formal occasion. 1. I used a couple pre-made hair accessories from Hobby Lobby for photos 2 and 3 for the base, and a metal hair band for the applique in photo 1. 2. 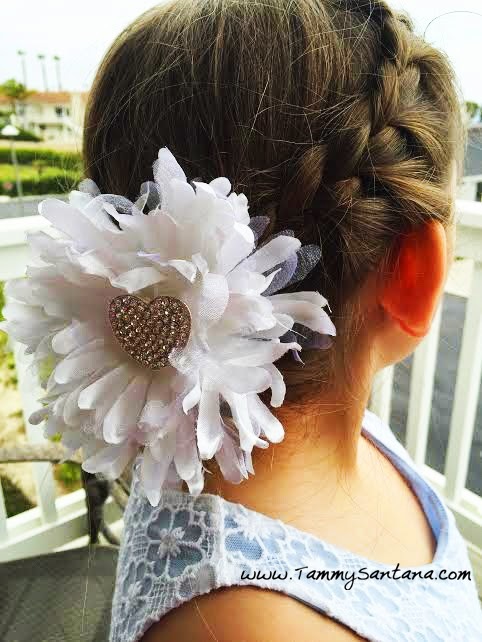 I attached some items from The Buckle Boutique to all of my hair accessories including a rhinestone and pearl applique in photo 1, a Rhinestone Starfish Brooch Slide in photo 2 and a Puffy Heart Slide in photo 3 . I used needle and thread to attach all of the pieces from The Buckle Boutique so they would stay on well. My daughter loved all 3 hair accessories and she can't wait to wear them this Summer. Which one is your favorite?